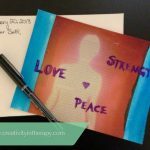 The artwork that is created in an art therapy session can be a powerful thing, which means it’s important to carefully consider what happens to the artwork after the session. Art therapists are carefully trained in considering this, although sometimes there will be different approaches or practical realities to consider, so art therapists may not need this information. 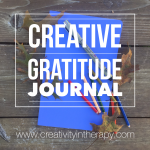 However, I know that many non-art therapists read this blog as well – therapists and counselors who are incorporating creative approaches into their sessions, art therapy students who are still learning, and even potential clients who are curious about what art therapy is like. 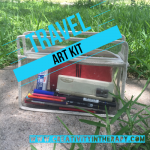 So, I hope that I can give you some understanding into why an art therapist may want to keep the art and when they may feel like it would be helpful for the client to take it home. And even if you are an art therapist who has already learned this, maybe these questions and issues to consider will help you clarify your own decision making. What happens to the art at the end of an art therapy session? 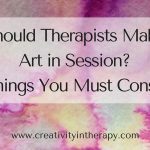 As with most things in therapy, the answer is “it depends,” but most commonly, the art therapist will keep the art in the office/studio. Non-art therapists are often surprised by this, assuming that the client should be able to keep what they have worked hard to make. But there are many considerations and reasons that it is better to keep the art in the office until termination. The art may be triggering or contain upsetting emotions/memories/images. In art therapy, the client may be expressing something in their artwork that is difficult to face. Examples could include art about trauma or other negative events, art expressing grief, depression, anger, or anxiety, an image of a nightmare, or art that reflects low self-esteem or distorted self-image. In therapy, the client is creating this art and exploring it in a safe place (the office/studio) with the support of a therapist. Taken out of this safe context, some artwork can be very upsetting and emotionally triggering to clients later. There is also important significance in the experience of the therapist literally “holding” these difficult things for the client in the form of keeping the artwork. Part of the art therapy process can be using the art to contain emotions and gain distance from them. Clients are often encouraged to express emotions through the art process. The process provides a safe release of these emotions, contains them on the page, and allows the client and therapist to step back and consider them. Once these emotions have been released, it is not particularly helpful to keep dwelling on them and carrying them around with you. This is similar to the experience that many people have in journaling when they are upset – they may express their thoughts and feelings in a way that is raw and unfiltered; as they release these feelings onto the page, they get to a place of more calm and clarity. They would likely tell you that it is not helpful to re-read those pages of intense emotions; dwelling on them would just continue to bring up the feelings and prevent moving on. Artwork is not always safe at home. Artwork created in therapy can have a lot of value for the client. When we create anything, we naturally have pride in it and often don’t want to see something damage it. When the artwork is therapeutic, it carries even greater emotional weight as it is an extension of our inner self, reflecting our thoughts, feelings, and experiences. When the therapist keeps the artwork in the office, they are helping to protect clients from the pain of seeing that extension of themselves damaged or destroyed in some way. This is especially important when working with children who often have less control over their home environment and fewer options for keeping their artwork in a safe place. We are also protecting the emotional safety of our clients by helping them keep their artwork confidential. Artwork done in therapy is often intensely personal. Others who see the artwork may misunderstand it, misuse the information that they gain from it, or respond in a way that is hurtful to the client. If you are more knowledgeable about verbal therapy approaches, imagine what it would be like for someone to see a transcript of a client’s therapy session, or even to see just a few notes that may be jotted down after a session. Artwork is communication, so we may need to help our clients keep this communication private. It can be helpful to review and/or change artwork later. The artwork creates a record of the progress that a client has gone through in therapy. Having the artwork together to review can help the therapist spot patterns, stuck areas, or changes that they may not notice if each art piece is considered individually. Likewise, it can be helpful for clients to be able to review a series of art pieces in therapy to gain their own insight about patterns and progress. There are also times that it can be helpful to revisit and change an art piece or to keep working on things over an extended time. One example would be in processing trauma or doing a visual trauma narrative. The trauma narrative process may include doing several art pieces to tell the story over time. Or it can include aspects like clarifying details, adding emotions, correcting distortions, and changing the story – all of which require keeping the art in the office. Another example would be revisiting an art piece about a certain topic and having the client make changes to reflect something like how things are different now, what they wish was different, or resources/strengths they can add. Or maybe an art piece that was unfinished or didn’t feel successful in the past can later be reworked and transformed into something new, a powerful experience about not giving up on things. Art therapy often focuses on the process, not the product. 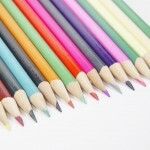 Many people come into art therapy with the belief that art is something that is meant to be displayed. They carry beliefs about what “good” art is, that there is a “right” way to do art, and whether or not they are a “good artist.” Art therapists encourage our clients to focus on the creative process, believe that all art in therapy is good enough and is right, and help clients let go of judgmental and critical thoughts about their art. Automatically letting clients take all their art home after each session can interfere with this focus on process. If the client takes the artwork, they may then be evaluating which art is worth keeping by considering which art pieces are “good” or worthy of display. By having the client leave the artwork behind, we can also reinforce the message that they have experienced and internalized new knowledge and growth through the art process; they don’t need to hold on to the final product to maintain this growth. When should the client take the art home? Some art therapists will keep ALL the art in the office until termination. Others will set the expectation that they hold the art, but then allow certain pieces to go home after sessions when it would be helpful for the client. 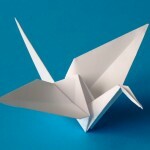 At termination of therapy there is a discussion about what the client will keep. Regardless of whether the therapist has kept all or most of the art during treatment, it can be a helpful part of the termination process to review the artwork together. It can provide helpful closure and highlight progress to see this visual record of what the client has explored in therapy and how they (and the art) have changed. The therapist and the client can then decide together what to do with the art. Now that there is some distance from the original creation process, clients are often able to recognize what would be significant or helpful to take with them and what may be best left behind. 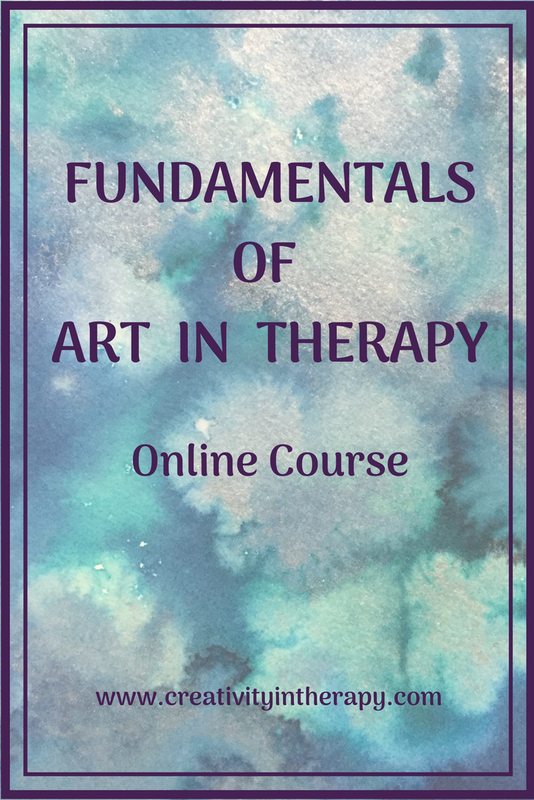 It’s important to remember that although the therapist holds the artwork during the duration of treatment, art therapists recognize that ultimately the artwork is the property of the client (see the ATCB Code of Ethics). For me, this means that the client gets the final say in what is done with the art. When the artwork will serve as a helpful visual reminder between sessions. Sometimes the art done in therapy can be a powerful reminder to clients and can be helpful for them to see at home. Some examples of this from directives that I do with clients might include the Tree of Strength or other artwork about healthy coping, values or strengths focused art, goals/commitments/intentions/vision boards, a picture of how you plan to handle a particular situation, or your motivations for change. 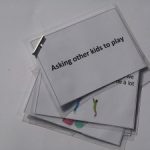 If a child has created a game or feelings poster in session, that may also be something that is helpful to take home. When the agency or setting cannot safely or practically keep the artwork. I want to acknowledge that some people are working in settings where they are not able or allowed to store the artwork for the clients. For example, when I do groups in the hospital setting, we do not have a space to keep the art. Clients are given the choice to keep their art or leave it with the therapist. Art that is left with the therapist can be put in an inspiration book for others to see later or taken away (aka put in the shred bin). I encourage clients to consider what feels helpful for them, but this is not always ideal. In addition to lack of storage options, some settings do not allow for the art therapist to have a termination session or opportunity to return the artwork. If I see a hospital client only once a week for art therapy group, I seldom know when they will be discharging and they would have left without having a chance to get the art back from me. Telehealth therapy will continue to grow and this includes telehealth art therapy. When the artwork is done in the client’s own home with a remote art therapist, the client will obviously have control of the final art product. Telehealth therapists may want to provide particular attention to talking with clients about how to keep their art safe and confidential, the emotional power of the art, it’s potential triggering effect, how therapeutic art is different than other art, and the importance of process over product. Perhaps the client can set aside a particular place to keep therapeutic art safe, contained together, and separate from other art they may do. If you are wondering how to put all these thoughts together, here is the way that I approach this in my own private practice. At the beginning of art therapy (or when we are going to do the first art piece), I set the expectation for clients that I will keep the art in the office until they have finished therapy. I let them know that I will keep it safe in their own folder. Sometimes I have had clients create and decorate this folder. I also let them know that we will review all the art when they are done with therapy and they can choose later to take it home if they want. At the end of a session, I will ask they client if I can hold on to the art or remind them that I will put it in their folder. Clients have seldom disagreed and there is usually only a problem or conflict if the expectations were not clear from the beginning. When there is a clear reason that taking the art home could be beneficial, then I might ask the client if they would like to take it home with them. We will talk about how it would be helpful and how to keep it safe and private. At termination, I will review the artwork with clients. In addition to discussing progress made, we will talk about whether they would like to take some of the art home and how to do this in a way that keeps the art safe. Sometimes I have known that clients don’t have a way to safely store the art at home, so we have done something else, like make a small photo album with pictures of chosen art pieces. Another piece to be aware of is that art therapists generally consider the art to be a piece of the medical record, just like progress notes. So if art is left behind after treatment ends, you should continue to store it safely as long as you store the client’s records. If keeping the original art is not possible (or in the case of art that goes home with the client), consider keeping a photo of the art for the records. I hope that these thoughts are helpful for you in carefully considering what to do with client art that is made in session. Whether you are an art therapist or a counselor that is incorporating creativity, the art should be treated respectfully and with much care. 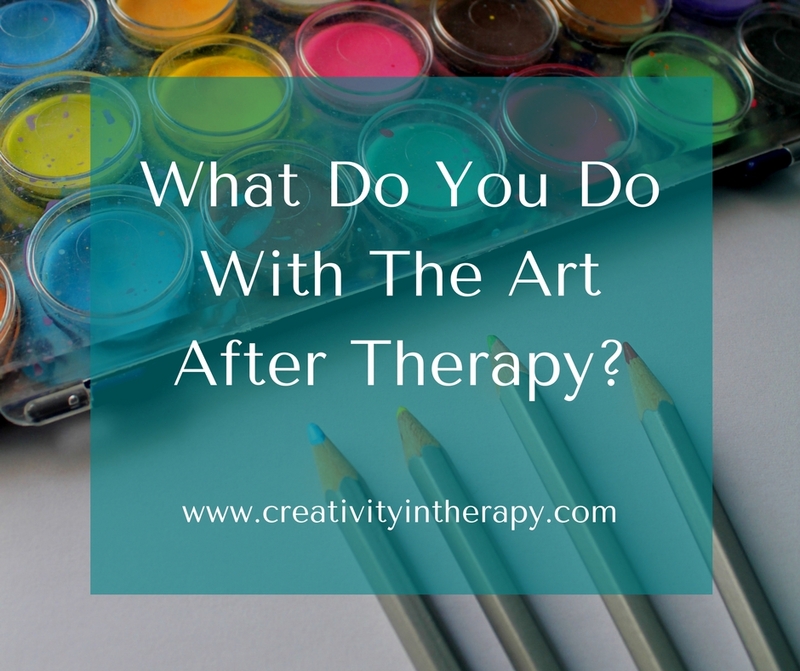 Because it can be so emotionally laden, therapists should always consider the impact of clients taking therapeutic art home, as well as the significance of the therapist holding the art and providing containment for it. And as a reminder, art therapists have a lot of education and supervised training that helps them understand the use of art in therapy. 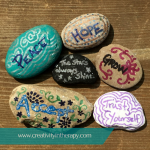 If you are trying to incorporate creative approaches in to your therapy or counseling work, be sure to get adequate training and consultation. See below or the Resources page for recommendations of books. Personally as an art therapist i would like to share my thoughts which are towards to already observe how the patient is acting. Once the object is created we can see how the patient reacts around it. Personally, if i am allowed, i am more in the idea to not having the object with him the person in therapy. I am open to discussion to that subject. It is really interesting and i think it is important to see how the person reacts and with many sessions to see the evolution of the detachment,. Thanks for reading and sharing your thoughts. 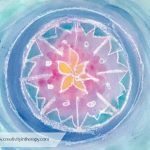 You are right – it is so important to observe how the client is reacting to the art product and this may inform what the art therapist believes should be done with the art.